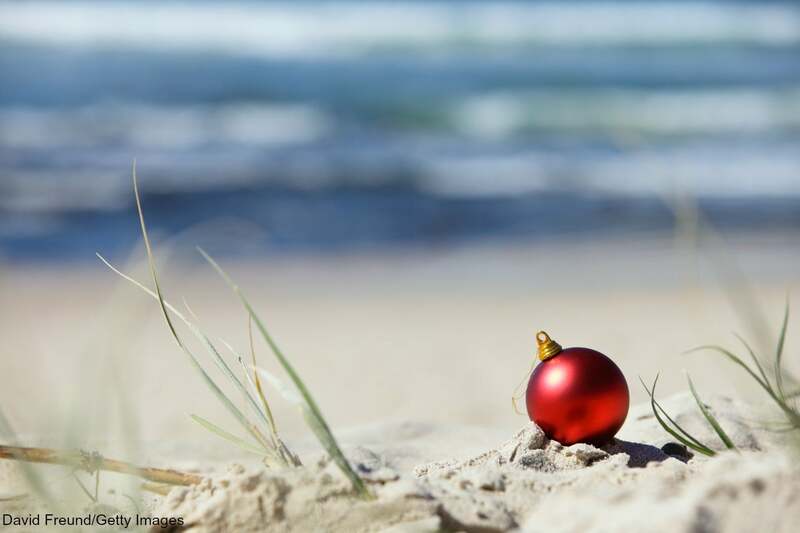 The holiday season in Fort Myers Beach is arguably one of the best times of the year. Although White Christmases are in short supply, what we do have to celebrate is even better! One of these celebrations is the Fort Myers Christmas Boat Parade, a pageant of dazzling lights right on the ocean! You’re invited to sit back, relax, revel in a delicious tropical drink, and enjoy the show. You’ll find even more yuletide-fun events like the Fort Myers Christmas Boat Parade in our Free Fort Myers Beach Vacation Guide! Since the parade’s maiden voyage 28 years ago, it has grown to become one of Fort Myers’ most popular holiday events. Last year, over 30 boats cruised through the harbor and lit up the night with brilliant Christmas lights. This year promises to be even better with more boats, more lights, and more fun! Starting at 6 p.m. on December 3rd, the parade will begin in Matanzas Harbor. Establishments such as Bootleggers Waterfront Barbeque, Parrot Key Caribbean Grill, Nervous Nellie’s, and more will be able to see the parade right from their docks. The parade will continue through the first two canals of Siesta Isles before turning off their lights until next year. What makes this event even better is that anyone is welcome to be part of the parade! If you own a boat, you are eligible! All you have to do is submit an application, string your boat with a multitude of beautiful lights, and wave to the adoring crowds as you pass by! The price is only $25 for non-sponsored boats or $50 for sponsored boats. Don’t miss your chance to watch this waterfront spectacle or be a part of it yourself! It’s a tropical holiday event that brings the community together in Christmas spirit. There’s more to love in Fort Myers Beach this holiday season! Check out these upcoming events you’ll want to add to your calendar. Kick start your holidays with a stroll through the beautifully lit Downtown Fort Myers. Live entertainment and horse and carriage rides will also be available to visitors. It’s a great way to get started on your Christmas shopping as you browse through the shops. This highly-anticipated event features more than 3 miles of lovely luminary candles along the main roads. Guests will enjoy a complimentary trolley service, a beautiful nativity scene, a visit from Santa and Mrs. Claus, and more activities for the whole family. There will also be a luminary festival on Captiva Island the following night on December 3rd. Offering some of the finest vacation rentals on the island, Sun Palace Vacations is the perfect alternative to Fort Myers Beach resorts and hotels. Not only will you be able to enjoy all the space, comforts, and luxuries you love at home, but you’ll get it all for an unbeatable price! Whether you’re looking for a beachfront oasis, luxury home-away-from-home, or bayside sanctuary, you’ll find your perfect fit for the Christmas vacation of a lifetime! Call and book today or take a look at our Free Vacation Guide for more local information.